9 separate mysteries ranging from a rip-off artist re-evaluating the actions of his partner, to vengeance in today's Mexico, a merchant sailor stranded in 1900 French Indo-China, spies in the Boer War, a perilous life in the warrens under old Edinburgh, and other tales of intrigue, suspense and death. ​On the north bank of the Terek River sets the Cossack cordon where they act as frontier guards for the Muscovy empire. South of the river in the shadows of the Caucusus Mountains lies the Wild Country, where Chechen Hill Tribes war against all invaders. In this violent land, the Armenian, a trader of goodsfrequently finds himself compelled to solve a crime where cultures clash and his own life is often threatened. The last 4 mysteries are set in the era of Louis the Fourteenth, France's Sun King. But in the criminal underworld of Paris, there is a self proclaimed king who rules the assassins, beggars, trollops and thieves. All here must tithe to King Jules, or else. To survive in this world, an orphan, incompetent pickpocket finds himself involved in schemes, scams, thefts and even a prison escape. 31 mini-mysteries for the reader to follow the clues and solve the mystery. See if you can figure out who committed the crime or else how it was committed. 9 tales of death and desperation, revenge and requiem. From Bookies to Pawn Shops, the mountain jungles of the Golden Triangle to the slums of Bogata, plus the first biker stories. Walk with those whose paths in life have taken them outside the law. The proprietor of the Twin Brothers Bail Bond firm only takes on special clients who are then required to put up high value collateral. This collateral, often stolen or illegal goods, is promised to be returned after the bond is no longer needed, but somehow these special clients seem to fall from high places, go deep water swimming without appropriate breathing equipment, become victims of an errant taxi cab or otherwise render themselves deceased. And yet, the bail firm always makes an exorbitant profit on the arrangement. Theodore Oscar Alan Dewey, bail agent, desirous of not having any personal accidents to himself, conducts the proprietor’s darker errands and provides him with various clues, thus allowing the proprietor to solve a mystery in each of their ongoing adventures in crime. Beaumont and Yarnell have been partners in crime for years, yet their burglary jobs don't always go as planned. Like the one on Halloween night, when an error in measurement puts them into the basement of a local mortuary instead of inside the intended jewelry store. 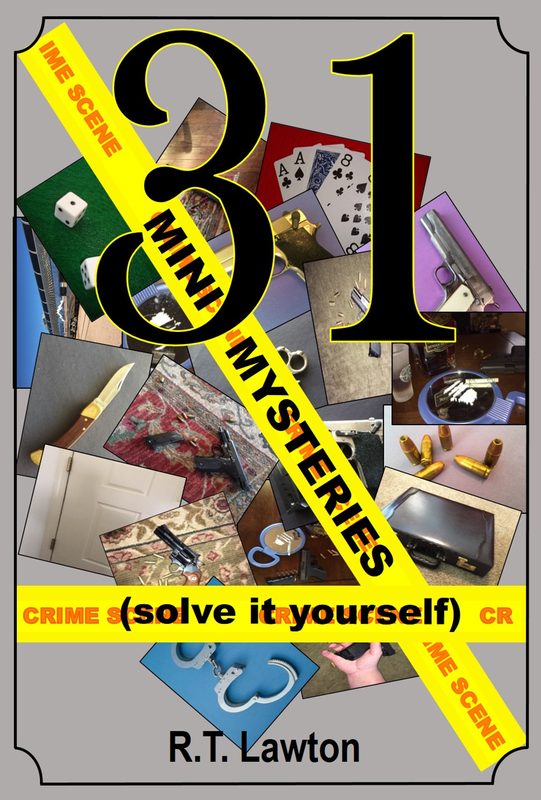 Come along with the two burglars on their nine escapades in this collection. Feel the adrenaline, watch their screw-ups, see their solutions. You just might find yourself laughing.